This week we were lucky to have six talented juniors and seniors form the division of Natural Sciences talk about their summer research experiences. Both days’ events drew a packed crowd of S3, interested first-year students, science majors and others. 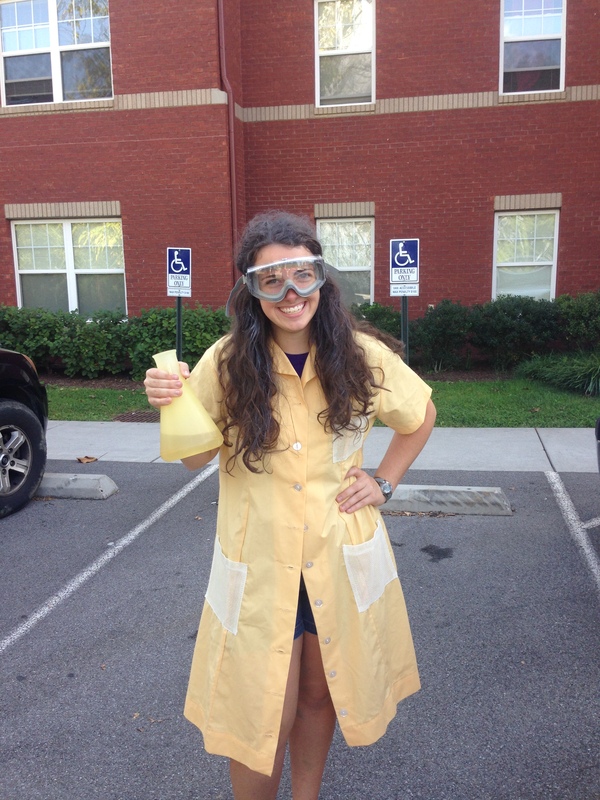 Ravyn dressed to the nines for the American Chemical Society “Breaking Bad” themed float. Junior biochemistry major Ravyn Thompson spent the summer at Mote Marine Laboratory doing research on Clearnose Skate white blood cells. In her talk “Involvement of the aryl hydrocarbon receptor (AHR) in the immune system of clearnose skates, Raja eglanteria,” she described her attempt to quantify the effect of environmental pollutants on immune cell receptors and the subsequent increase in the presence of detoxification enzymes. Ravyn said that as she was applying to programs and making the decision about which one to attend, she thought about a long-held interest in marine biology. The internship at Mote Marine Laboratory gave her an opportunity to explore this interest more deeply. In the end, she felt the experience had strengthened her desire to continue biomedical research, but also helped her to realize that the marine biology aspect was not as important to her. 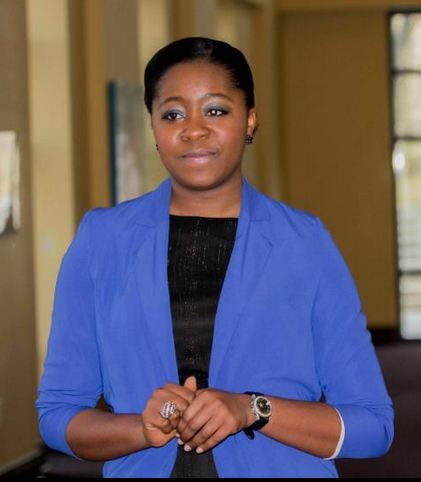 Onyeka is active in many activities across campus, including the College Choir, Black Student Association, Global Citizens Organization, and Peer Mentors. Senior biology major and chemistry minor Onyekachi Ononye spent the summer working at the Center for Environmental Biotechnology, University of Tennessee on a project working with materials found in enzymes from bioluminescent bacteria. The goal is to increase the amount of bioluminescence in kidney (HEK 293) cells to help with cancer detection. Her talk was titled “Optimizing Bioluminescence in Human Embryonic Kidney Cell Line HEK293 using Gibson Assembly Technique to Create Novel Plasmid Construct PLUXABCDE.” Onyeka credited her professors Dr. Jennifer Brigati, with whom she had worked on another project, and Dr. Angelia Gibson for preparing her for the level of work required to work in the lab. As an international student, Onyeka said she had fewer opportunities for summer internship experiences, but encouraged everyone in the room, including international students, to be persistent and go to MC professors for help in finding a program that would be the right fit. 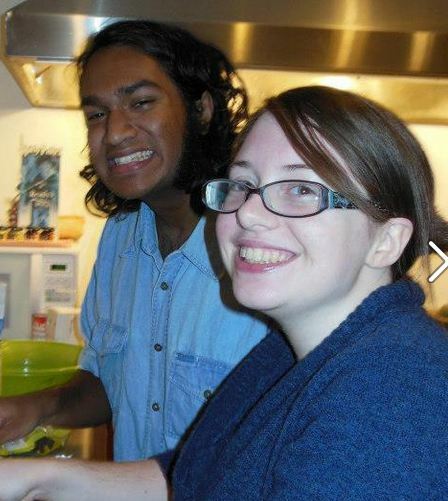 Sarah and Winode are often seen working together. After spending the summer working with liquid crystals at Kent State University, Sarah Manning looks forward to a future in materials science. Sarah’s talk “Synthesis and characterization of biodegradable liquid crystal caprolactone based-elastomer, ” could have been straight out of science fiction. The liquid crystals will be used in the creation of a 3-D biodegradable, biocompatible material that can be used in the body as a foundation for tissue formation. Sarah’s enthusiasm and deep understanding of her work was inspiring and it is evident her experience in this lab will have ripple effects throughout her career. Winode Handagama worked in a group at Johns Hopkins University analyzing brain tumor cells. His group investigated a gene responsible for coding Acyl-CoA Synthetase Enzymes. By knocking out the gene, they were hoping to understand the effect on the growth rate of the tumor cells. Winode was responsible for culturing and counting cells, conducting PCR reactions, and testing the cell media for by-products. Winode’s obvious enthusiasm for the project were obvious when he spoke about the things he wanted to do had he had more time. 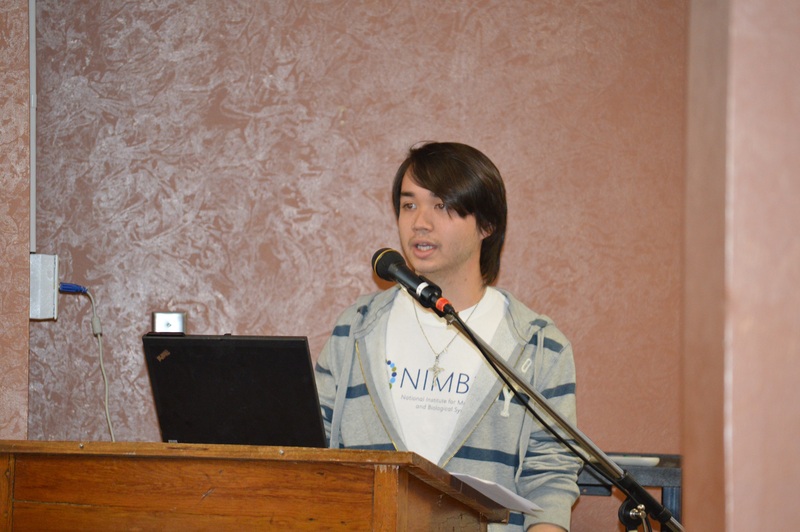 During Winode’s talk, it was obvious that he was given the freedom to pursue some of his own ideas of how to use the data, and was able to think about how his math courses at MC might also be relevant to his his biology work. Robert explains his research to a crowd in the Proffitt Dining Room. Robert Adams was able to combine his interest in mathematics and biochemistry in the summer Research Experience for Undergraduates at the National Institute for Mathematical and Biological Synthesis. Robert’s charge was “Estimating Nonsense Error Rates of Genomic Data: A Multinomial Regression Approach”. The project’s goal was to characterize why certain codons were preferred over others in the genetic code. Besides learning about DNA codon usage, Robert needed to acquire new programming skills on the job to learn the statistical language R, which will be a skill he’ll be able to apply later in graduate school or in the lab. While at MC, Robert was introduced to the basic ideas of programming in C++ and he suggested that the audience should take programming classes if they plan to continue in the sciences. David Lee with a ‘small mammal’. In a change of pace, senior biology major David Lee Haskins, spoke about his varied summer experiences in industry, in a research lab, and doing ecological research. David encouraged students to explore their options by taking advantage of any opportunity they may have to work in the field. His summer experiences have helped him refine his future goals. After a stint in industry, he realized that he felt the need to be ‘answering a larger question’ with his work. The larger question was present when he worked the following summer on a research project to characterize the interdependence of glucose and pheromone sensing pathways in yeast led by Dr. Jennifer Brigati at Maryville College. However, David found that the kind of work involved in that was not what he wanted to pursue long term. The next summer, at the suggestion of Dr. Dave Unger, David applied for and received a Competitive Summer Internship through the Maryville College Center for Calling and Career that funded him along with a grant from the Appalachian College Association to do fieldwork at the Manistee National Forest. At this point, David’s passion for his work shined when he spoke about his research trapping small mammals and characterizing the habitats they frequent. The data he collected is aimed at figuring out the diversity and range of the prey of American martens. 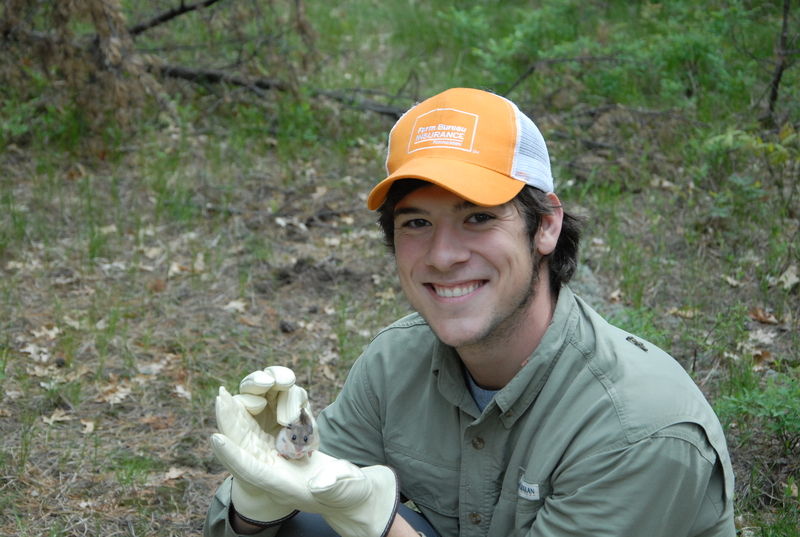 The work he did during the summer has bloomed into his senior study titled “Prey base assessment of the American marten (Martes americana) in the Northern Lower Peninsula of Michigan” and has resulted in the opportunity to give talks at professional conferences. If you are interested in reading more about David’s experience, access his blog. While the audience may have had differing levels of scientific knowledge and understanding, they could all take away two things. First, all the students showed real passion and excitement for their work. The second common thread was that the mentoring relationships students have found at Maryville College have led to these kinds of opportunities to explore science and vocation. This entry was posted in Uncategorized and tagged Clearnose Skate, Johns Hopkins University, Kent State University, Maryville College, Mote Marine Laboratory, National Institute for Mathematical and Biological Synthesis, Natural science, Robert, Scots Science Scholars, University of Tennessee Center for Environmental Biotechnology. Bookmark the permalink.